techniques both to image the body and treat disease. 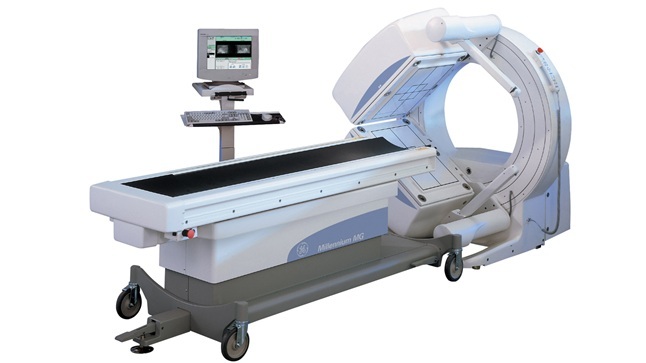 When we already have X-ray, Ultrasound, CT & MRI, why do we need this? It provides unique functional information from cellular and molecular levels which is not possible with other modalities. When do we use Nuclear Scan? Radionuclide procedures are available for almost all organ systems just like the different X-ray procedures. 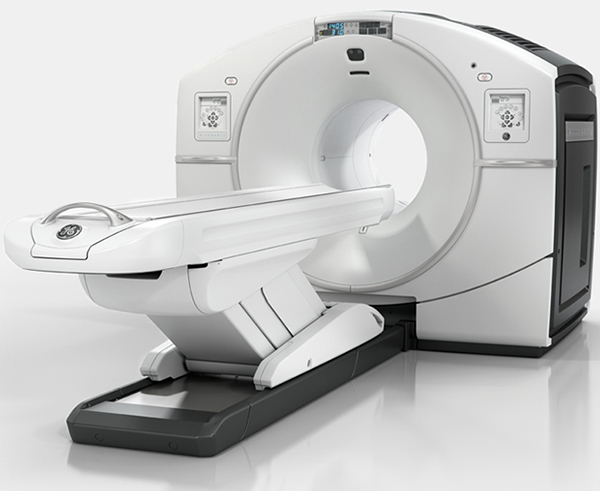 It is used in evaluation of Heart, Lung, Brain, Bone, Kidneys, Liver etc.Scans are designed to study various aspects like concentration, excretion, drainage/flow of tracers in various organs or localize/characterize the leison pathology. can be performed with 201T1/ 99m Tc- Sestamibi / Trofosmin. Rest Injection Scan indicates whether the heart muscle is viable or scarred due to prior attacks. Stress (Exercise/Pharmacological) Scan reveals inducible ischemic perfusion defect corresponding to significant coronary disease. A bone scan is a diagnostic imaging study which records the distribution of a radioactive tracer in the skeletal system. It is the most sensitive study available to pick up any pathology of the skeleton. Renal scans are performed to evaluate the differential renal function, the extraction and excretion function of the kidneys. Information about Glomerular Filtration Rate (GFR), tubular function and cortical morphology can be obtained by such scans. Gastic Emptying in Gastroparesis, post OP states, dysmotility etc.